When you think of “the pro-life movement,” who do you picture? Do you think of a massive crowd with homemade picket signs shuffling through Washington DC in the snow (or San Francisco in the sun)? Do you imagine an elderly lady standing outside an abortion clinic handing out pregnancy resource pamphlets? Maybe the phrase “pro-life movement” brings to mind a politician using a lot of the same old buzzwords, or the guy your campus group hosted for a formal debate last year, or even your friend who is an adoption counselor. Regardless of who comes to mind for you, when you think “pro-life movement,” you think of someone, right? But wouldn’t it be great if the phrase “pro-life movement” made you think of everyone? We at SPL want to create a society where everyone is pro-life. Because we’re secularists, we focus particularly on religious diversity. But we are happy to grow the pro-life movement in other dimensions too; we want everyone—people of every age, gender, race, religion, sexuality, and political affiliation—to be pro-life. You know, like this, except not so "cheesy stock photo." Being that inclusive is difficult. Any time you throw a bunch of people with such varied backgrounds into a mix, there’s friction. Even if we’re all against abortion, other aspects of our lives are very different. We have diverging, sometimes opposing, perspectives on topics outside the abortion debate—topics that are also important to us. 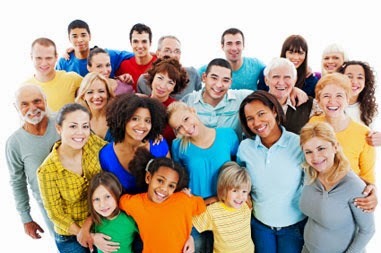 If we don’t make a proactive effort to understand one another (maybe not agree with, but understand), how can we unite? This is a major hurdle the pro-life movement needs to overcome, and that priority is why I am so thrilled to have met and befriended Josh Brahm. Josh likes to say his job is to help pro-lifers not be weird. 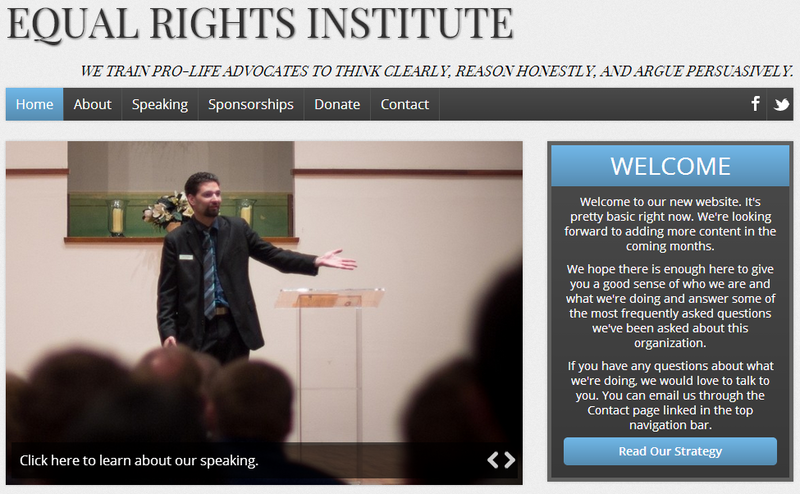 Really his job is to train pro-lifers to think clearly, reason honestly, and argue persuasively. That means he gives talks and speeches and leads (or helps lead) training seminars for pro-lifers. What does he talk about and train others on? Relational apologetics. Josh believes (and I think he’s absolutely right) that we sway the most hearts and minds when we take each person as an individual, and we learn how to effectively relate to people. The more we learn to relate to one another, the more we expand and unite the pro-life movement. The more united we are, the more we empower ourselves to fight abortion. We are stronger together than we are apart, and Josh's work helps bring us together. Josh and RTLCC did some great work together, but it’s time for a change. Last week, Josh announced that he’s founding his own organization: the Equal Rights Institute (ERI). The ERI website will be live by July 1st! Through ERI, Josh will continue to give his talks, speeches, and trainings, but he can expand his impact from a local to a national level. I'm particularly interested to see the training materials ERI produces. Josh and his colleagues are careful thinkers--not only in terms of relationship, but in terms of philosophy as well. They've already created what are, in my opinion, some of the stronger pro-life arguments (if you haven't already read the De Facto Guardian paper regarding bodily rights, you should check it out). If history is an indicator, I think we can look forward to more work of this quality. I can't wait to read about it. Josh is a Christian who works to relate to secularists. He's a straight guy who works to relate to homosexuals. He's a pro-lifer who works to relate to pro-choicers. He doesn't just talk about how we should all get along; he actually gets along with a wide variety of people. I find that inspiring and encouraging. I'm telling you guys about him because if you're interested in expanding the pro-life movement, this is one of the guys you should keep an eye on. Here's his blog. Here's his Facebook page. Here's his Twitter. Follow him. If you like his work, consider inviting him to speak to your pro-life group, or even lead a training. If you really like his work, consider donating. I've read a lot of Josh's work and have generally been very impressed with it. I wish him the best in this, and any other endeavors in which he engages. Excited for the work you guys and Josh are doing. I've been saying for years (but not acting much) the pro-life movement needs to get beyond God arguments and prayers outside clinics. It becomes too easy for pro-choicers and the media to dismiss as religious nutjobs. "Josh is a Christian who works to relate to secularists. He's a straight guy who works to relate to homosexuals. He's a pro-lifer who works to relate to pro-choicers. He doesn't just talk about how we should all get along; he actually gets along with a wide variety of people. I find that inspiring and encouraging." This is exactly the type of relevance I had in mind too. I think that Josh Brahm has the right idea and I think his new organization will succeed where others have failed for over 40 years.